The town Oelsnitz in the Ore Mountains is a mining town. 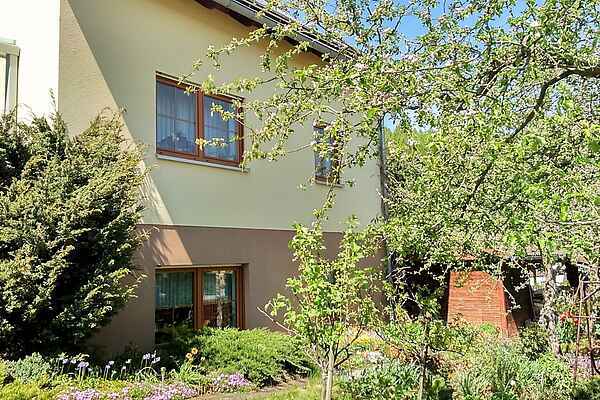 The apartment is located on the outskirts of Oelsnitz in a very quiet area. The ground-floor apartment is comfortably and fully furnished. A bakery and other shops are nearby. A small restaurant (5 minutes on foot) takes care of any hunger and thirst. Kilometres of bike- and hiking paths run through the diversified landscape. There's a lot to discover: Chemnitz with its museum of natural history, the industry museum, or Lichtenstein with its Miniwelt (Mini World). We also recommend taking a trip to the upper Ore Mountains (Annaberg-Buchholz, Schwarzenberg, Frohnauer Hammer).